Poll: Will it be the iPhone 5 or iPhone 4S? So as I'm sure you guys know there has been many rumors about Apple's releasing an iPhone 5 or iPhone 4S. The 4S being a small upgrade with an 8mp camera and Apple's A5 processor. The iPhone 5 is rumored to be a thinner, and newly designed device with and 8mp camera, bigger screen, A5 processor, and lots more. So I'm interested to see what you guys think will be announced at Apple's event tomorrow? Will Apple announce the iPhone 5 or 4S tomorrow? Neither, it will be a different name. Why does Apple own iPodSolar.com? Today Macrumors discovered the Apple is now the own of the website iPodSolar.com. You can see from the picture above or if you do a WHOIS search on the domain that it was registered in 2007. Until recently the domain was registered by MarkMonitor, a brand protection firm used by Apple and other companies to keep their ownship private. If you go to the URL now forwards to the iPod page on Apple.com. 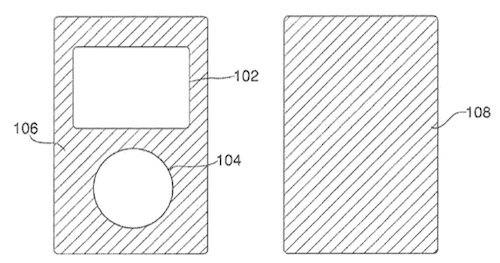 Apple's interest in solar cell technology for its products has been evident for many years based on patent applications covering the technology. A report from several months ago indicated that Apple has indeed been holding discussions about solar technology with several Taiwanese vendors, although any such projects would still be in the research stage and not yet near a public release. Coincidentally, Patently Apple reports that Apple was just today awarded a patent for a power management system that would enable the company to place solar cells on the exterior of devices such as iPods and integrate that power source with an internal battery. The patent was filed for in mid-2008 and was first revealed in early 2010 as the patent application was released to the public. So what are your thoughts on why Apple owns this domain? Do you think Apple would make an iPod that had some sort of solar charging? It wouldn't make for the best looking design, which Apple is known for, but then again if anyone can make it look good its them.